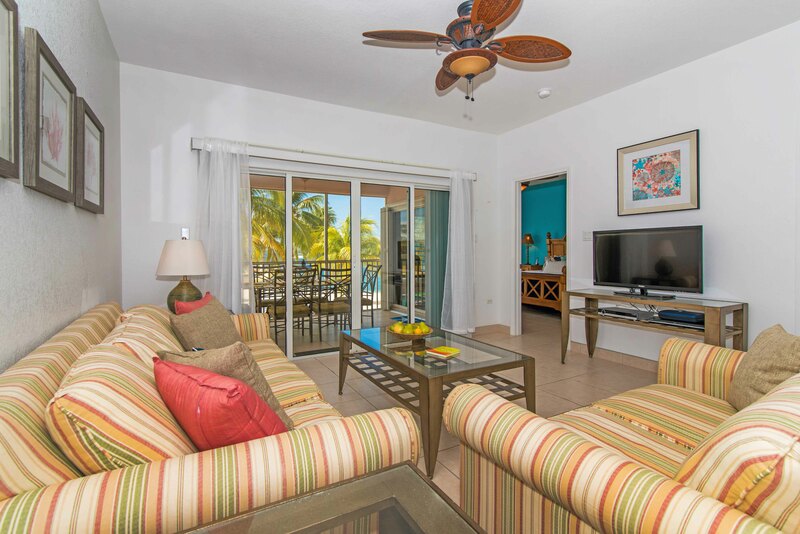 •1,200 sq ft. condo with 2 bedrooms, 2 baths + sleeper sofa (sleeps 4-6). 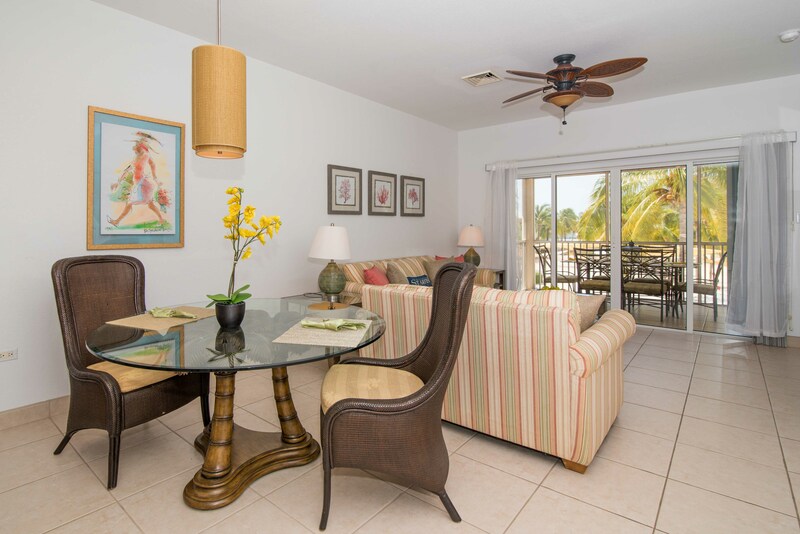 •Experience the tranquility of this 2nd floor waterfront unit. 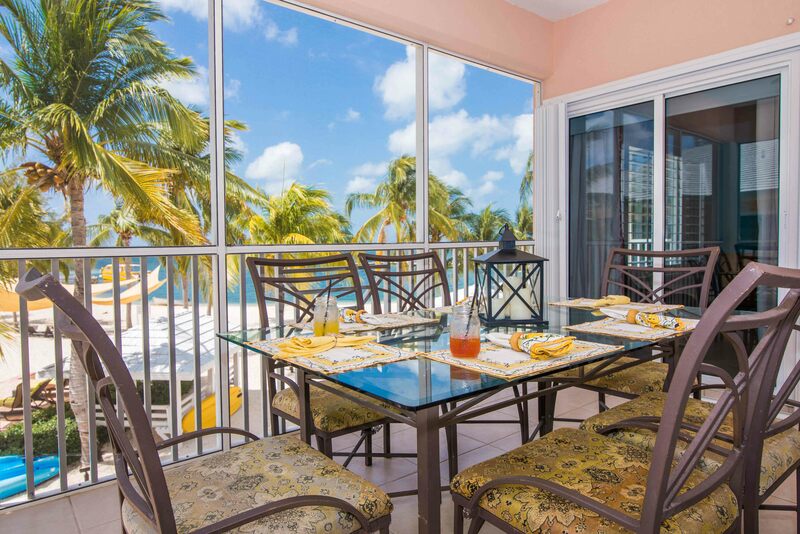 One of its best features is unobstructed views of the picture-perfect beach from your private patio where a dining table for 6 allows you unwind over meals and cocktails. 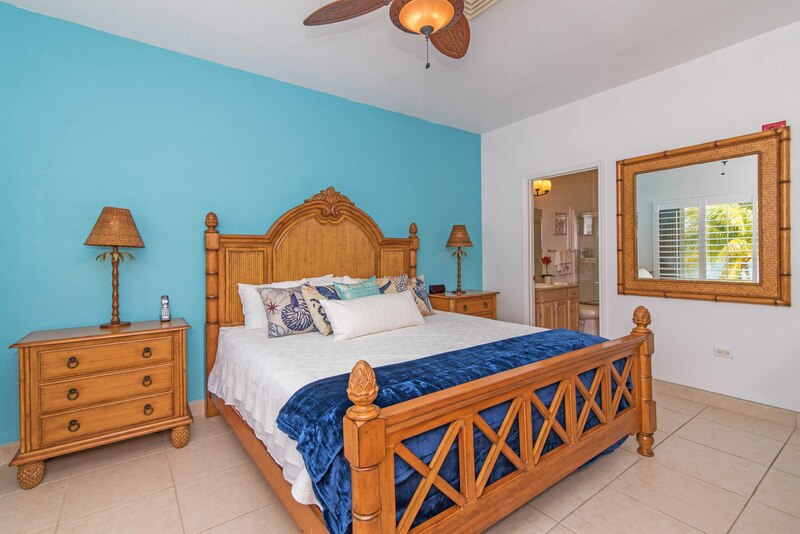 •Kick back in the bright, casually-sophisticated Caribbean décor and well-appointed interior amenities including open kitchen/living area, granite counters, breakfast bar with seating for 4 plus breakfast table, updated kitchen appliances, fully-stocked cookware, cold central air conditioning, new ceiling fans and lighting throughout, and updated bath vanities. 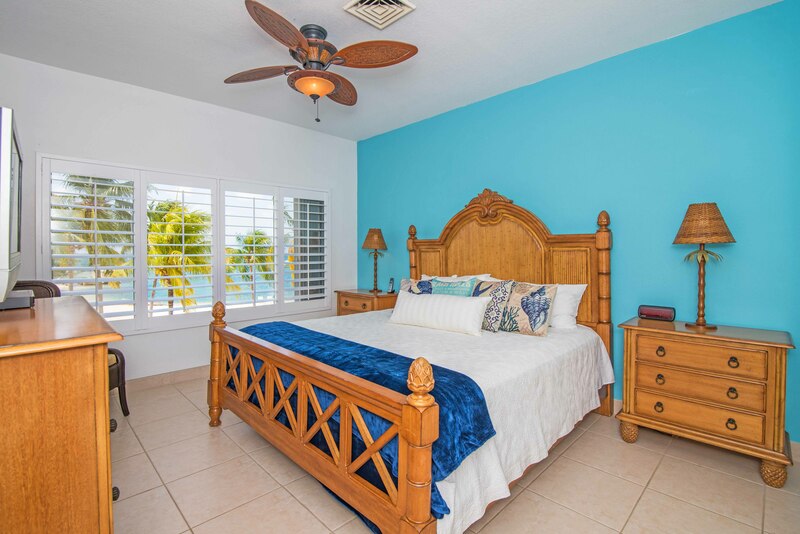 •The master bedroom is a spacious treat with a lovely and very comfortable king bed, views of the beach/ocean/pool, en-suite bath, new plantation shutters, and private access to the patio. 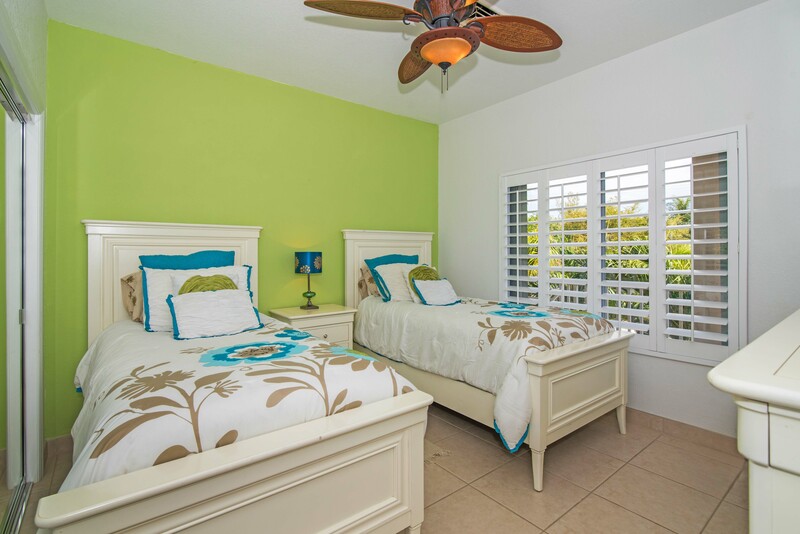 The second bedroom also has plenty of room with two comfy new twin beds and plantations, as well. •Kabio Yatch Club Phase II was built in 2005, and the grounds offer an infinity edge saline pool and hot tub facing the ocean so you can stare at the sea ‘til your heart’s content. 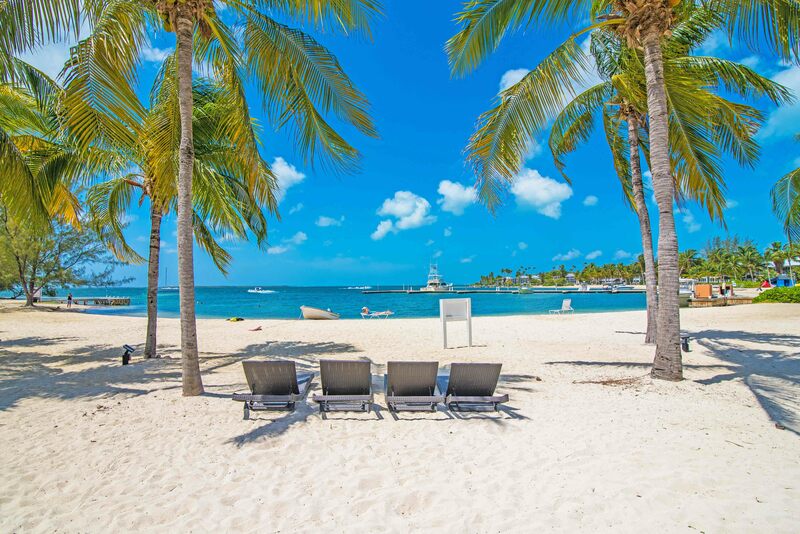 There are plenty of lounge chairs, hammocks, and palm trees on the private beach inviting you to soak in the serenity of this quite cove. 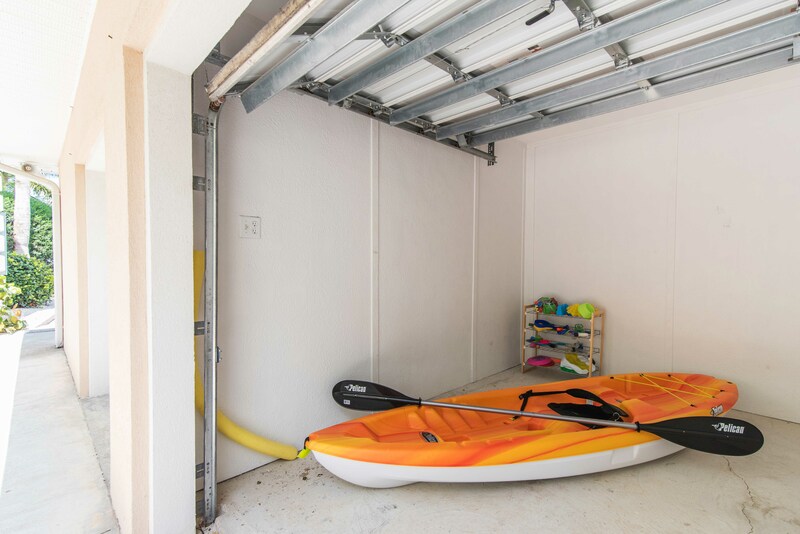 In the unit’s private storage closet, find a kayak and beach toys for use at your personal discretion to enjoy the private beach even more! •Just steps away is the well-known Kabio Yacht Club with restaurant and bar, providing an easy option for elegant dining or grabbing a latte during your morning stroll. 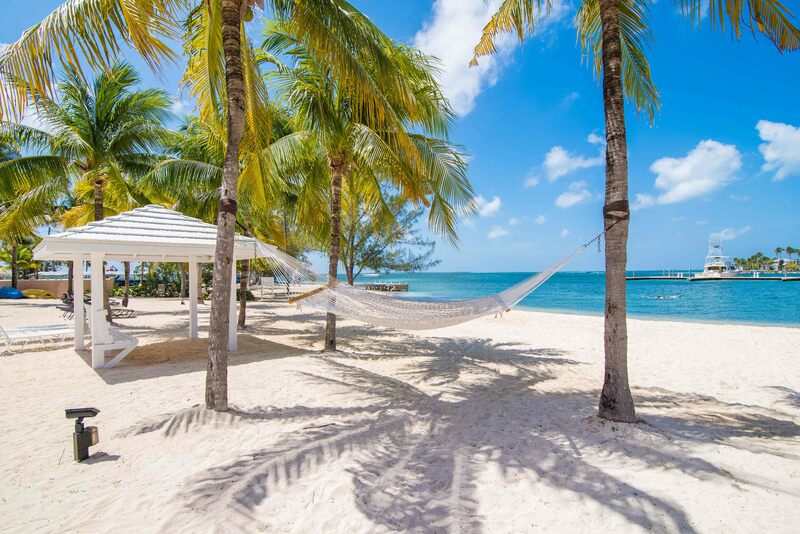 Within a mile, visit world-famous Rum Point or take a short walk to Star Fish point for sunsets. 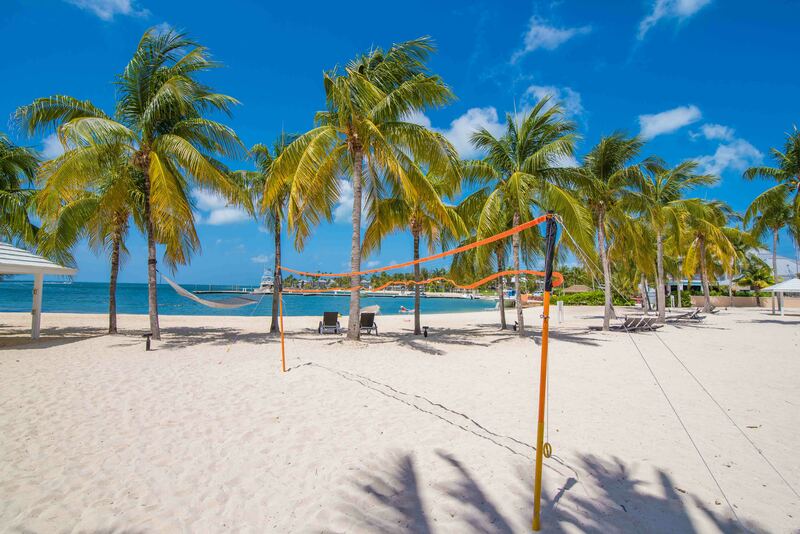 Enjoy other tours and services in the immediate area including the bioluminenscence park, tour departures to Stingray City,and SCUBA, and Cayman Ferries from Kaibo or Rum Point to Caymana Bay so you can easily go enjoy 7-Mile Beach for the day. 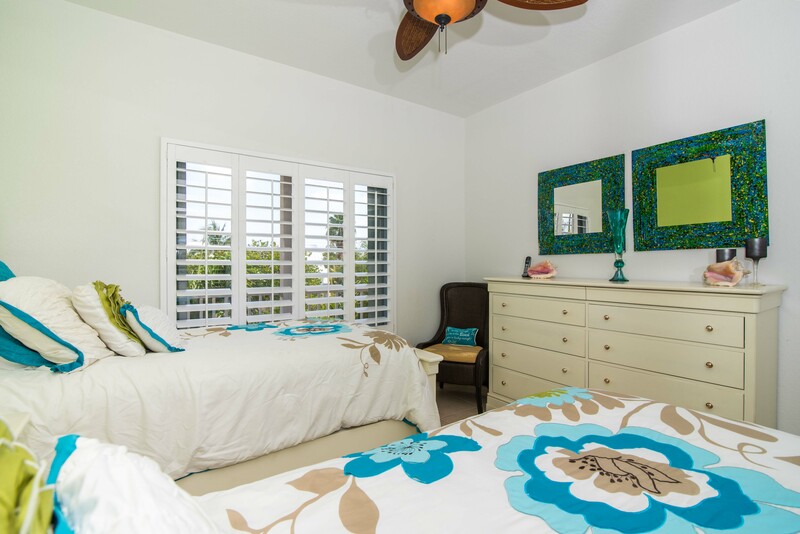 •Tropical Kai is the escape-from-it-all where you can relax in complete comfort. Families and couples welcome! Our family of four had a wonderful week using this condo as our home base. The condo indeed is well stocked - a wide range of small kitchen appliances/gadgets, lots of towels, great extras like dvds, games, extra goggles, and the like made our stay very homey and stress-free. The property managers were great - provided us with some great pdf resources before we arrived, and immediately addressed the one question we had during our stay. The kids loved having the pool and the shade awnings over the pool area are wonderful to escape the intensity of the sun sometimes, but still be in the water. Having Kaibo Yacht Club next door was great - the Tuesday night Barefoot BBQ event is a must! Their espresso and morning pastries also made for a good morning treat. We literally explored the entire island during our week there and loved having a comfortable, well-maintained space to spread out and relax in when we came back each day. I will say, we didn\'t realize when we originally booked, how easy Kaibo would be to explore from - Starfish Point is less than a half mile down the road, White Sands Sting Ray City tour (take the early morning tour!) leaves from the Kaibo Yacht Club dock next door, Rum Point and their good beginner snorkeling spot is less than a mile away, and the water taxi leaves regularly from Kaibo Yacht Club to take you over to Caymana Bay (and a short walk to 7 mile beach) all week. 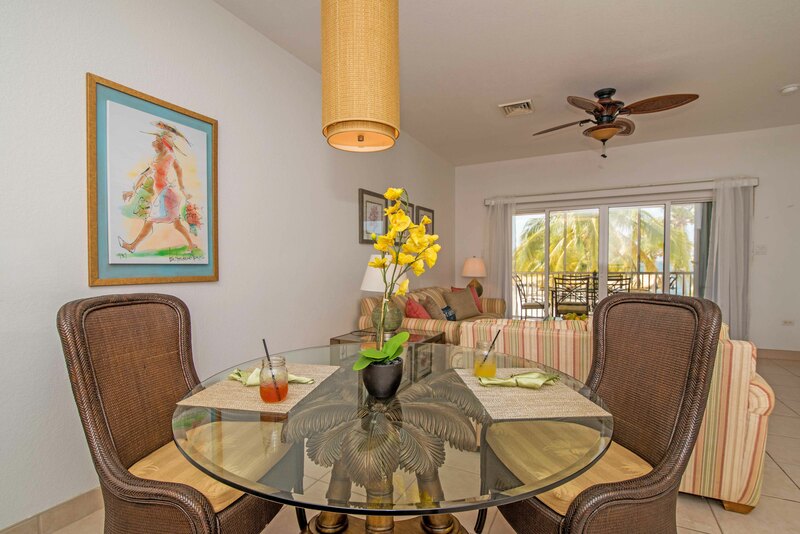 We would absolutely rent this unit again if/when we return to the island! Thank you so much for the great review. You mentioned so many of the things that we ourselves love about the location and the property. It’s always rewarding to know our guests have a super enjoyable time on their vacations - that is what vacation is all about. We hope to see you again soon! ★ ★ ★ ★ ★ There were starfish right off our beach and stingrays closeby. The unit was nice too. When water was rough and choppy everywhere else it was calm in our beautiful bay. 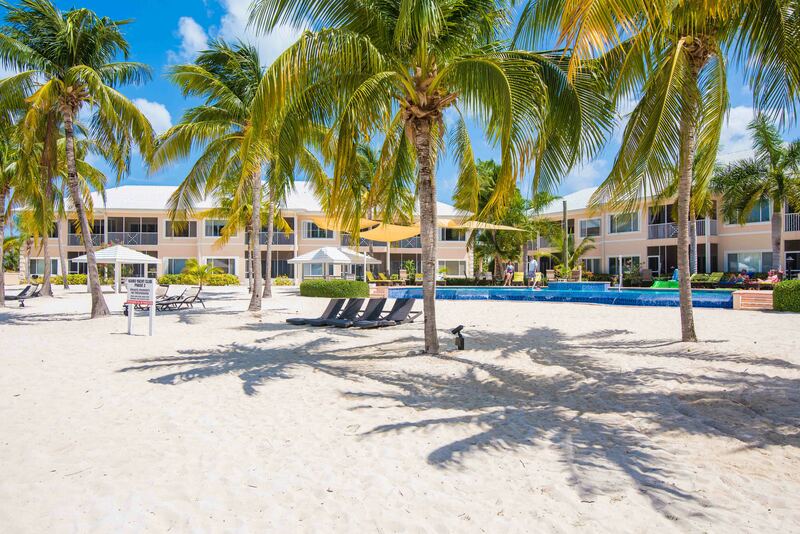 We loved staying at Cayman Kai! We felt that this was the perfect setting for our family, more relaxed than the 7 mile beach area. We loved visiting Starfish Bay, Rum Point, and the Cayman Crystal Caves (all close). 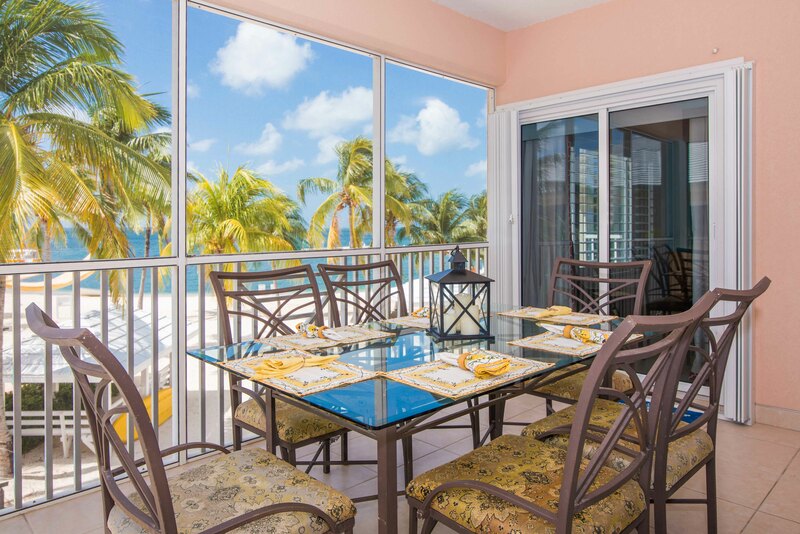 We enjoyed eating at Kurt\'s Corner, Island Bites, and Over The Edge (all rather close to the rental).We met quite a few vacationers staying in the condos that were on holiday from the other side of the island! This affirmed our choice to stay in this area.We did venture to 7 mile beach and it is indeed beautiful. We also enjoyed stopping by Smith\'s Cove for some snorkeling. WOW!We appreciated how well stocked the condo was with soap and paper products. It made one less thing to worry about! We also loved having the kayak to borrow. Thank you so much! My family and I had the best vacation. 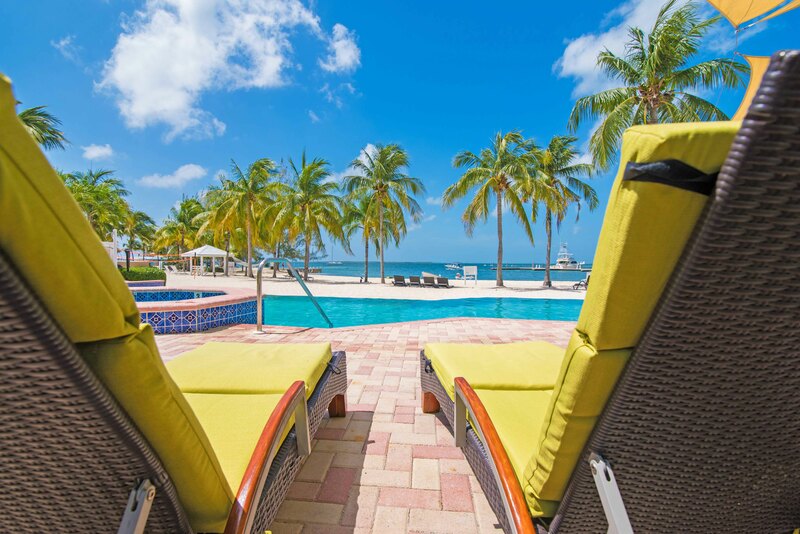 My husband and I initially struggled with where to stay, he wanted to be on 7 mile beach, close to all the activity, I convinced him Rum Point would be better, more relaxing and turns out I was right (again!!). 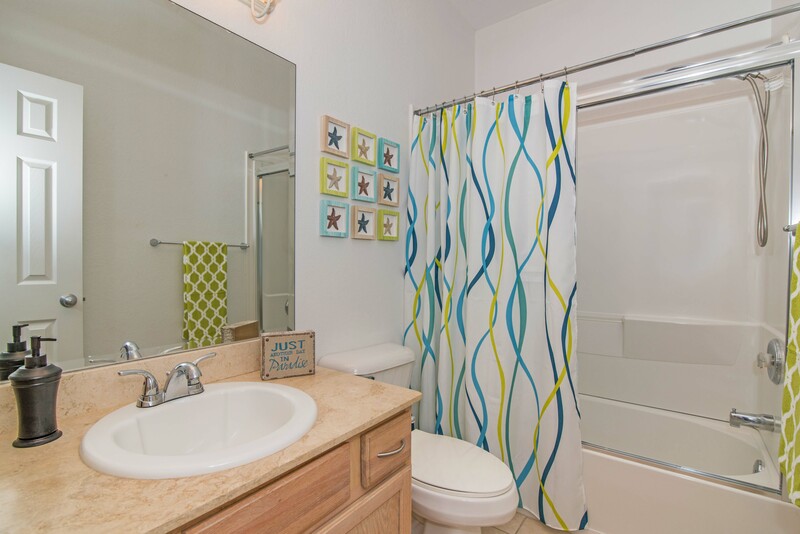 The unit we stayed in couldn\'t have been nicer, very clean and the location was perfect. We rented a car so we were able to easily get to all our adventures while becoming more familiar with the island. Rum Point quickly became our favorite place to hang out and it was so close. We had what felt like our own private beach and the pool was never crowded. All in all, it was one of the best family vacations we\'ve been on. Thank you! Really clean, modern condo which was perfect for my family of 4. We spent a lot of time on the screened patio. Good fishing off the dock. Really close to Rum Point and Starfish point. Nice pool which is walking distance to Kaibo Beach Bar for some cold drinks. We\'ll be back. Thx! This was our third time staying in one the condos at Kaibo Yacht Club. The Condo and its contents were clean. The view from the Lanai was wonderful. The restaurant next store was excellent. Would recommend to any travelers who want good value for their money. 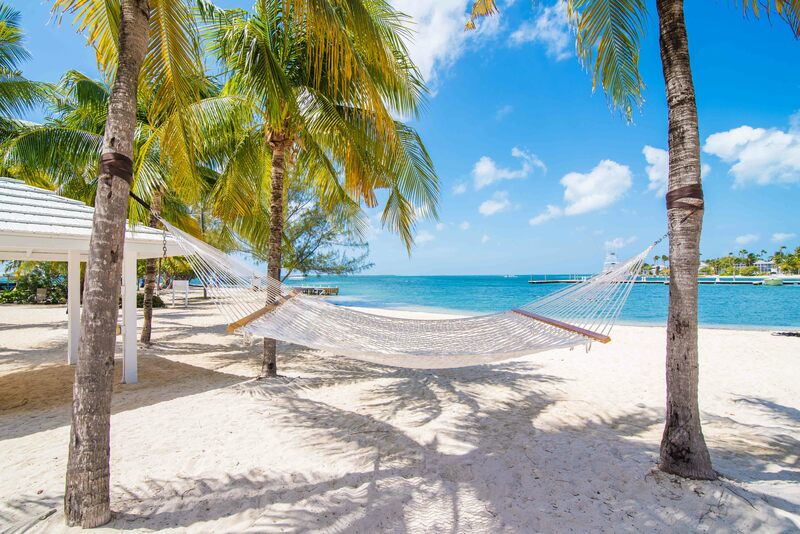 We travel to Cayman frequently to visit family. We rented Tropical Kai as our niece was getting married and we all needed accommodation. The moment you open the door you know this property is well cared for and much thought has gone into making it comfortable for it's occupants. There is absolutely nothing negative that can be said. 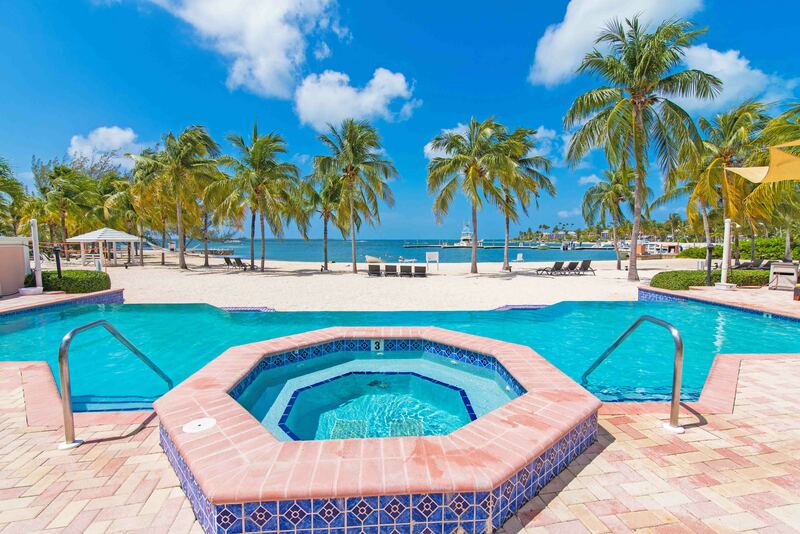 If you love the location of a more private beach this condo is very well situated and well worth the drive from Georgetown. Absolute luxury !! We stayed at this condo for 3 nights, before going to 7 mile beach for a few days, and what a wonderful time it was. 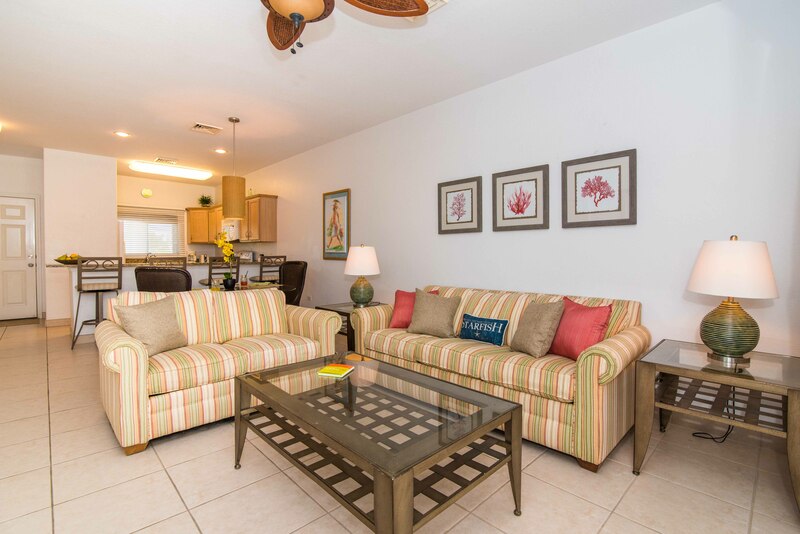 The condo was a perfect location, fully stocked and very comfortable. The coffee shop and restaurant right next door was so convenient and the people that worked there was wonderful. The pool was warm and inviting and the people we met there were wonderful. We rented a car and it was easy to get around the island and sightsee. The owner was wonderful to work with and very accommodating. 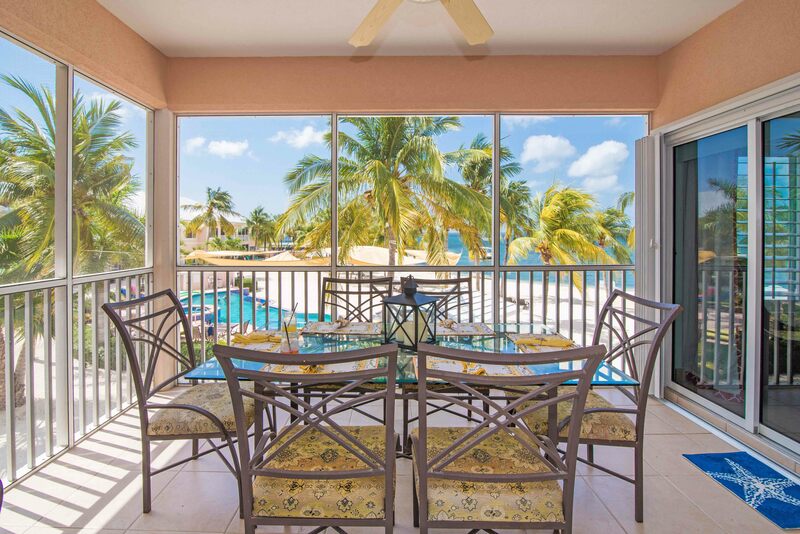 We would highly recommend this condo and can't wait to return to Grand Cayman. Our week at the Tropical Kai condo was wonderful. 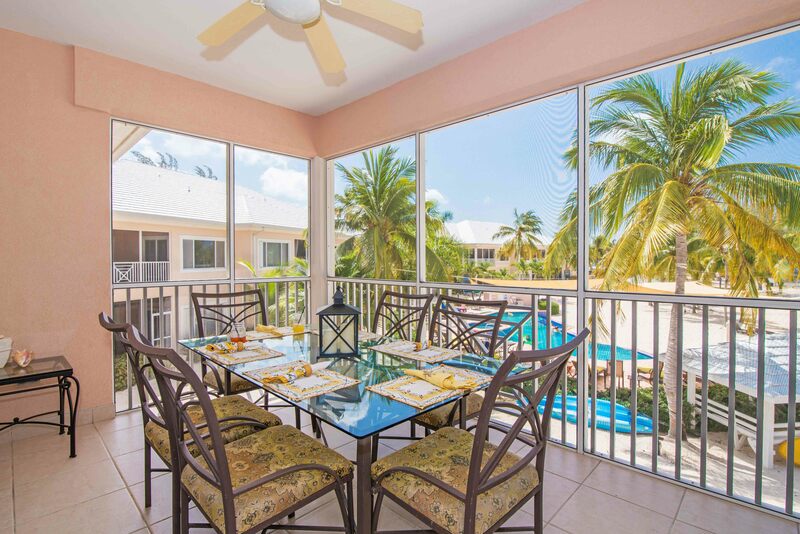 The Condo is beautiful and we enjoyed eating out on the screened in verandah each morning. The kids enjoyed taking the Kayak out and we all enjoyed the pool and the close proximity to the Kaibo Beach Bar and Restaurant. Parking was easy and the condo had all the amenities we could ask for and more. Lynn is a pleasure to work with and had a lot of helpful suggestions to make our visit more enjoyable. Thanks so much for a wonderful week!!! We loved our stay at the well equipped condo. Kaibo was a perfect setting for us. We rented a car and drove around the island and as we drove around 7 mile beach we were all glad to be staying on the other side of the island. We enjoyed the quietness of the area. Very relaxing. The condo is as advertised. It had everything we needed. Close to Starfish Point and Rum Point and a short drive to anywhere else. We would definitely stay there again. 2nd time here, 2nd time great! We stayed at Tropical Kai last year, and it was fantastic. The kids had the pool to play in all morning, then it was an easy jump to one of the may fantastic beaches to, swim snorkel, and watch the sun get low in the sky. We went back this year because of last year. It is just easy, the condo has everything we need, its all there. The eats next door are great, the beaches around are good, you can take off from the beach in front and SUP over to the mangroves, to Rum Point, or where ever. It was great to discover this gem of a place/condo, if you are thinking of staying here, go you won't regret it. It's all good. We stayed at Kaibo for seven nights. This was the first trip to the Caribbean for our kids and a return trip for my wife and I - 16 years after our honeymoon! Grand Cayman certainly has changed over time...much more developed and busy especially along Seven Mile Beach. However, Kaibo is quiet and peaceful and we had an excellent time. 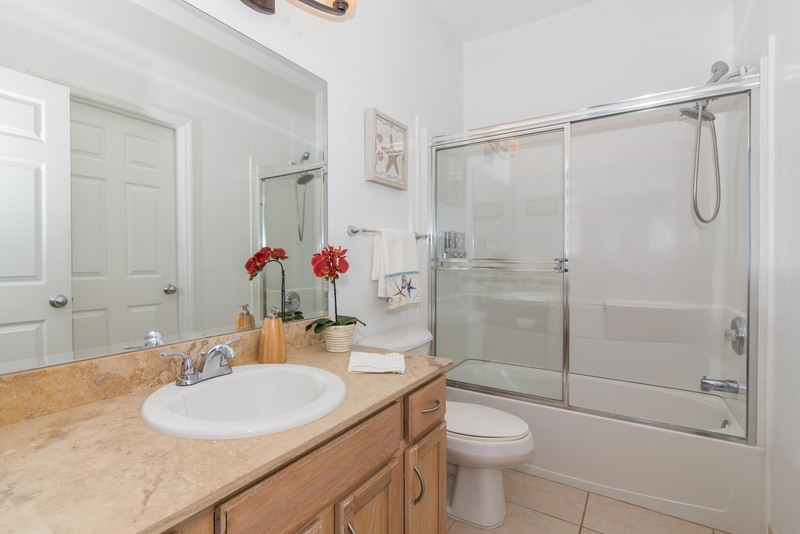 The condo is clean and well-stocked and in an excellent location for relaxation, or exploration. Just minutes away, we had a good time at Starfish Point and the kids learned to snorkel. 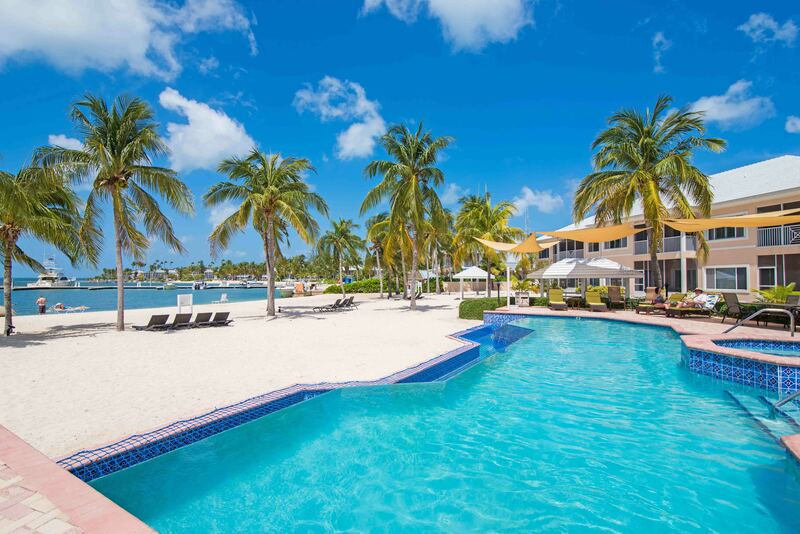 We enjoyed a trip to Stingray City out of Rum Point...just a couple of minutes down the road and easy to book. The kids would have enjoyed swimming in the pool and enjoying the beach everyday. They kept busy spotting iguanas, fish, crabs and other sea creatures right outside of the condo. But, we also had a great time exploring the island. Dinners at many of the "local" restaurants off the beaten path were a hit. We enjoyed mixing with the locals and stopped at many of the small shops and roadside stands...we visited just about every community and all were safe and friendly. We hope to return and would not hesitate to stay in the same condo. Stayed for 5 nights with my 21yo daughter while diving on GC. Place is as promised, no surprises. 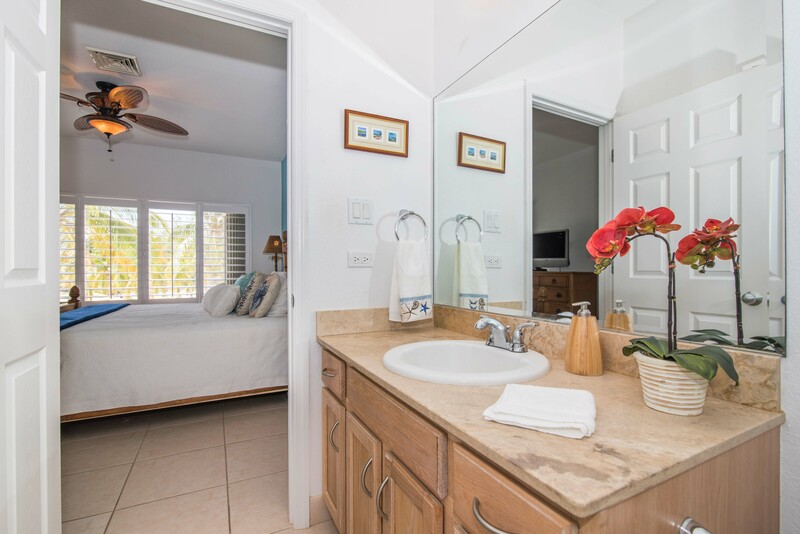 Rum Point area is a relaxed atmosphere and this place fits the bill. Nicely appointed, Internet was fast and solid, all the comforts of home. Stayed for the first part of our trip and went to 7 mile beach for a couple nights. both were nice, and both should be experienced.Have used VRBO for years and his place is as nice as they come. Clean and no surprises is what I look for in a place, and this delivers. Garage has some water floats, kayak and bikes available, did not use them.The other great thing about this place is easy access to Kaibo Yahct Club and Rum Point as well as the East End restaurants and diving. Rent a car for sure, you will want to explore the area. When we were diving most of the places we dove were near Georgetown so a longer drive was necessary, but we did dive East End as well one day which was convenient.I would strongly recommend this rental at Tropical Kai, have had some duds with VRBO in the past, Tropical Kai is the opposite of that. Our week at Tropical Kai was one of our favorite vacations ever!! Location is on the calm side of the island but is exactly what we wanted. Driving on the island (left side of the road) turned out to be easier than we expected. 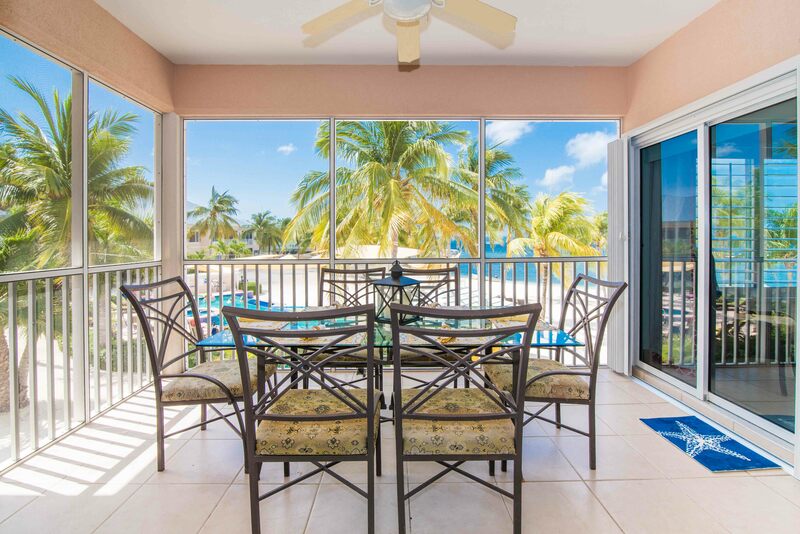 Once we arrived, we knew we were in paradise when we stepped out onto the screen porch to a breathtaking view of the pool and ocean bay. The condo was so clean and comfortable and supplied with everything we needed. We stopped at the grocery store in George Town after arriving at the airport as Lynn recommended and were set for the week. The Kaibo Coffee shop right next door was wonderful - latte's on the beach was a morning dream! We ate at both Kaibo restaurant locations - casual dining right on the beach at night was fun and Kaibo -Upstairs was an upscale dining experience that we would highly recommend. All of the staff members were so friendly! We went snorkeling and to Stingray City with White Sand Water Sports - Captain Chris picked us up at the Kaibo dock and treated us as if we were his personal guests. His love and respect of the island and stingray was apparent. We have taken many excursions with great guides but Captain Chris was exceptional. We really enjoyed trips to nearby Starfish and Rum Points. We of course walked 7-mile beach but were happy to return to the relaxation of our Kaibo Condo. 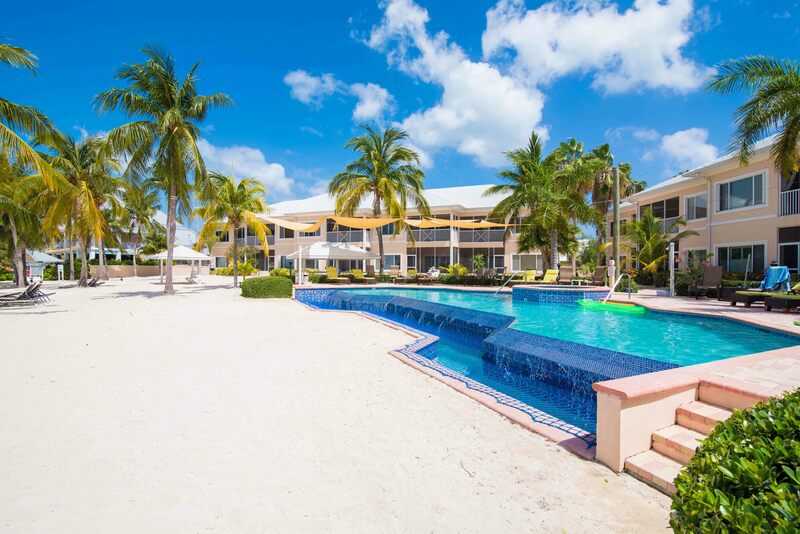 We fell in love with Grand Cayman and will definitely return - Thank you so much Lynn for allowing us to stay in Kaibo! I rented this condominium for the entire month of December, and it was the most enjoyable, comfortable, relaxing time and I have had in the last 25 years. the swimming pool was warm and just so inviting all day long. I had the convenience of many times having the scuba diving boat picked me up right out back of the condo. the atmosphere here was very relaxing, and all of the other tenants and people were so nice and wonderful talk to at the pool at along the beach. 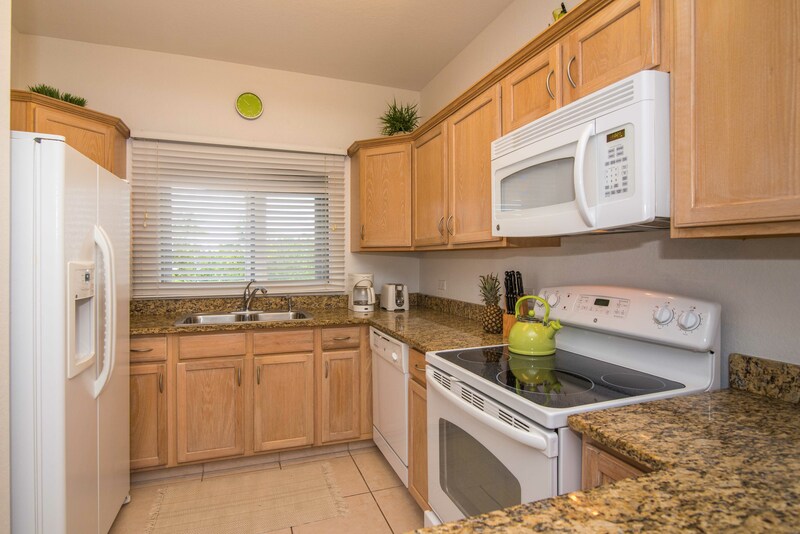 the condominium had everything you needed to cook in the kitchen and the beds were extremely comfortable. it is very close to quite a few restaurants, yet far enough away to where you can really enjoy the peace and quiet of this beautiful scenery/ocean/sunset experience. 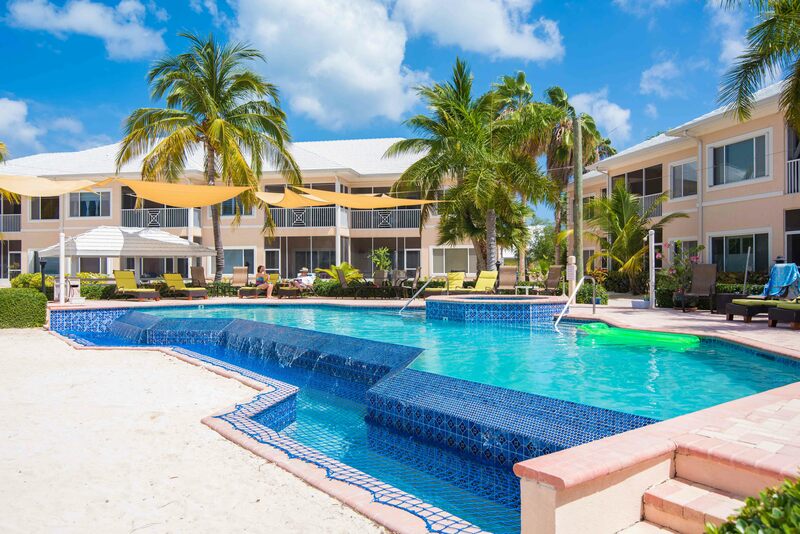 I will be back again and I highly recommend this condominium to anyone who wants to just come to the Cayman Islands and relax! My family of 4 adults, a toddler, and a baby stayed at Lynn's condo for the weekend and it was the perfect place for us! It was immaculate, comfortable, and peaceful. The beach was right outside the door and was a perfectly calm cove for the little ones to play in and for the adults to swim in. 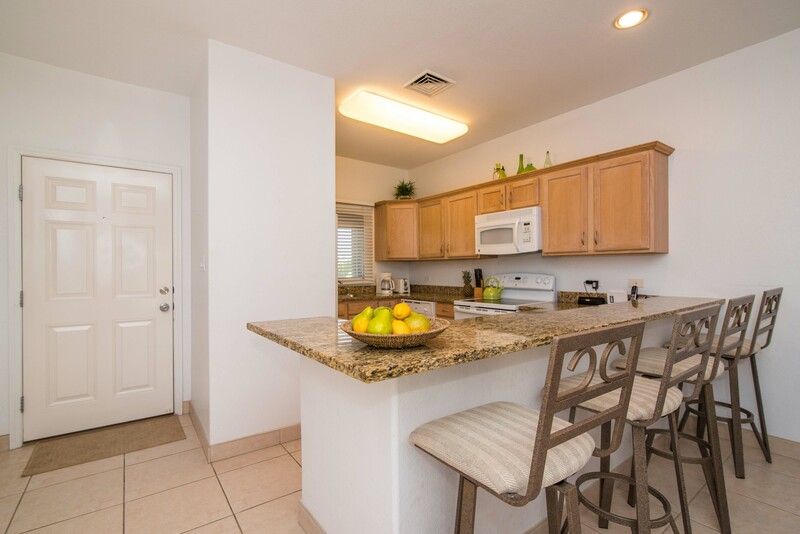 The kitchen was fully stocked with all of the appliances that we needed to cook our own meals and the dining area on the lanai was a great place to eat. There were plenty of towels, bedding, and even a washer and dryer. Lynn was quick with responses to her emails and was very kind and personable. She took care of everything for us before we got there and was great to deal with! We much preferred staying on Kaibo rather than 7 Mile Beach due to the slower pace and the drive to get there wasn't bad at all. 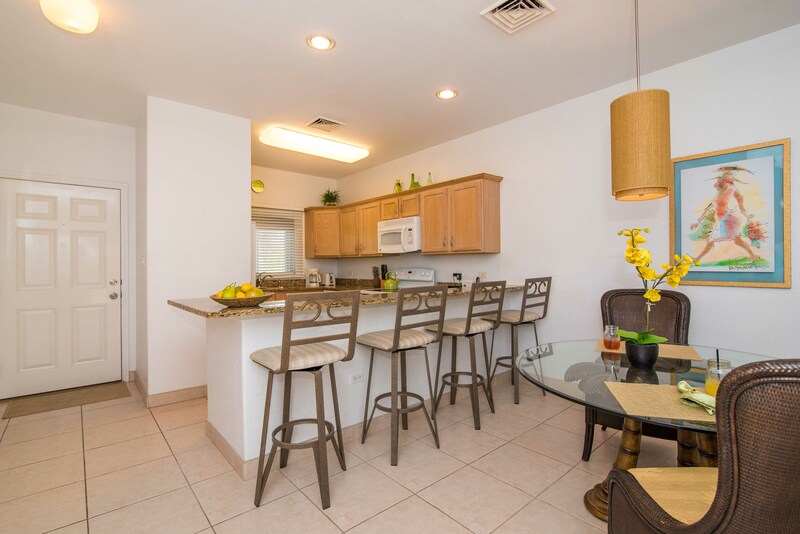 It really was the perfect place to bring the family with Starfish Point down the road, a nice restaurant next door, a beautiful beach out the door, and a spacious unit to relax in with the family. The beds were so comfortable and everything was so clean. I would definitely stay at this condo again and highly recommend it for families or a romantic getaway! 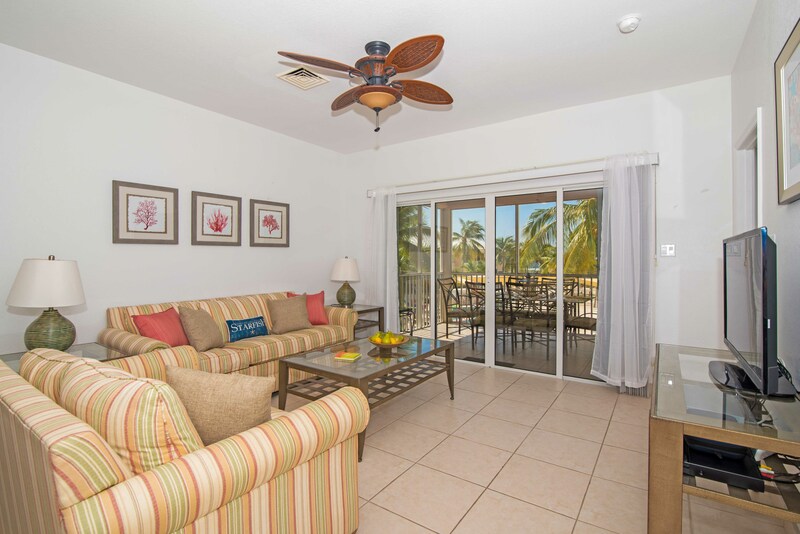 Really very well equipped condo on a beautiful location overlooking the beach! The condo gives a very homely feel , and the bedding is exceptionally comfortable. We spent 4 very relaxing days in Kaibo and would very much recommend this place - all in all would not hesitate to book again!